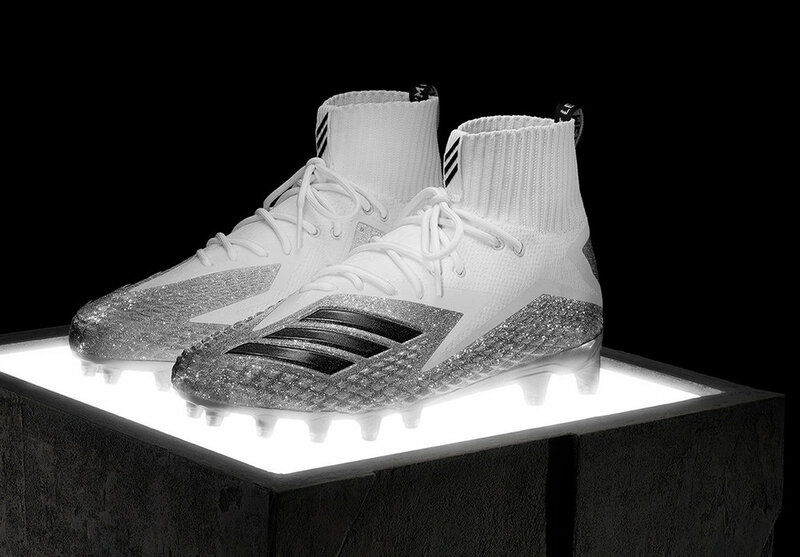 adidas has introduced a special Von Miller Edition of their new FREAK Ultra football cleat. The the six-time NFL Pro Bowler and Super Bowl 50 MVP inspired the design of the cleat with his unique style on and off the field. 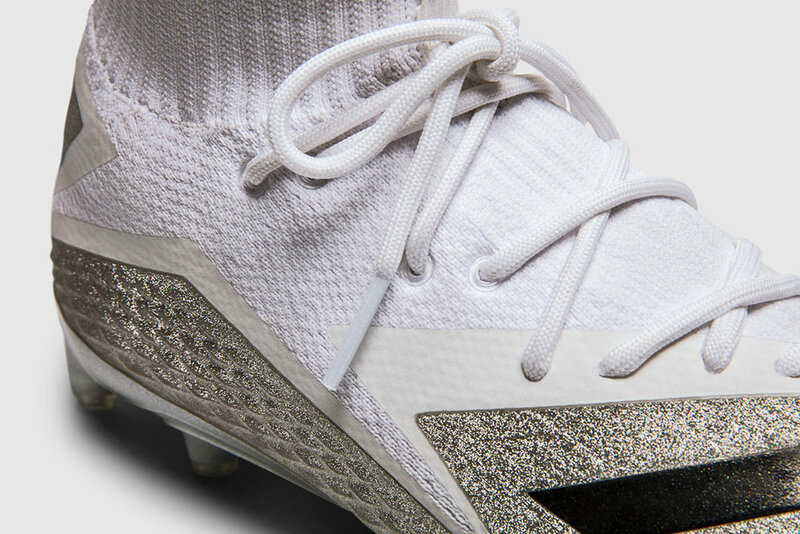 The cleats base layer is a white Primeknit upper with a silver metallic IRONSKIN. "That was inspired by the custom silver and diamond encrusted “Money Bag Gang” ring that Von had designed following Super Bowl 50." states adidas. adidas also worked in inspiration from Miller's sports goggles he wore as a kid. We see special ultraviolet materials in the cleat that change colors once in sunlight, just like his sports goggles did. The inspiration from Miller's goggles continues throughout the cleat. "The heel pull tabs are created from the same materials as his pro sport goggles and feature with the phrase “JUST LET ME PLAY.” The text was inspired from all the times that Von begged his mother to play football in the fifth grade." adidas. The design finishes up with the sockliner of the cleats having Von Miller's signature on one side with an outline of his sports goggles on the other. 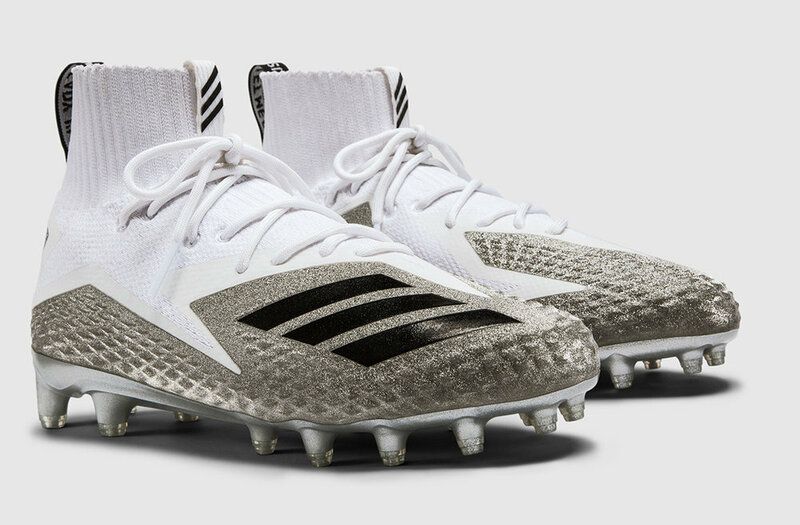 These cleats will be available to the public on 4/20/18 for $180.